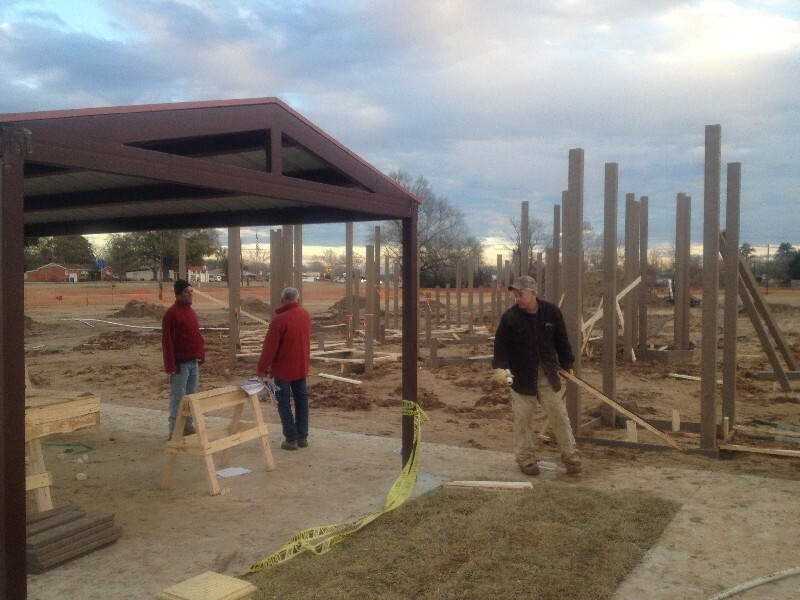 Playground Build Under Way--Really Underway! 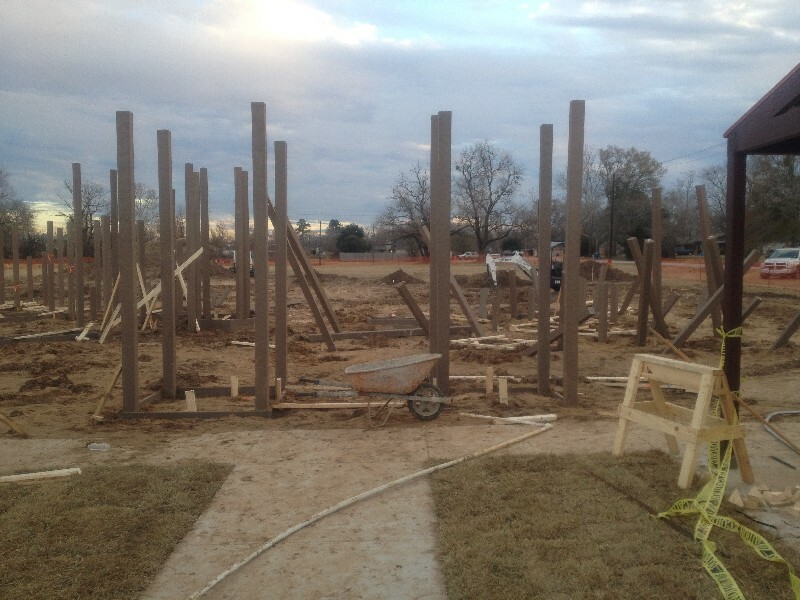 Although there has been a lot of activity for 2 months now on the playground project, it really kicked into high gear last week as all the columns and posts were set and plumbed. There were a lot of volunteers last Friday the 4th and Saturday the 5th of January that did a lot of work and made a huge dent in the prebuild task list. Thanks to all who helped last weekend and rest up because the fun begins Wednesday! See you there.